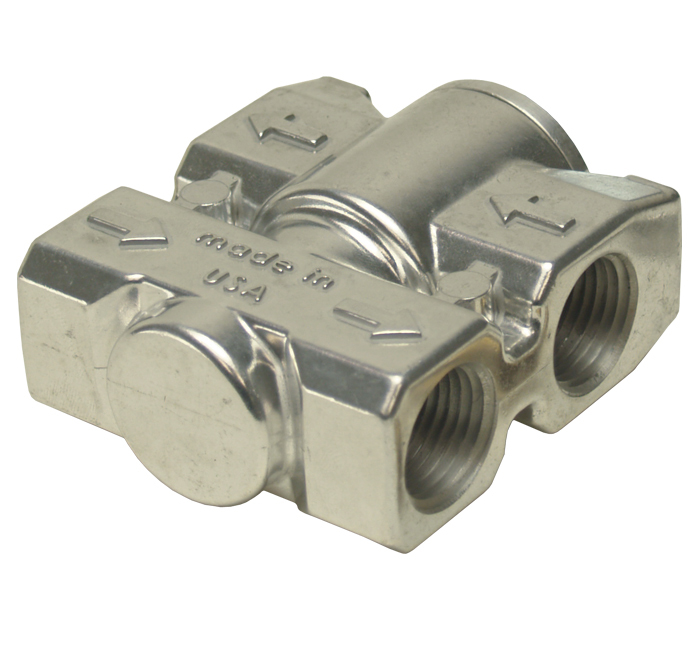 This Billet Style Cast Aluminum Fluid Control Thermostat with 1/2" NPT ports allows the oil to bypass the cooler until it reaches 180°F at which point the internal thermostatic valve will close and force 100% of the oil through the cooler while maintaining a constant pressure system. 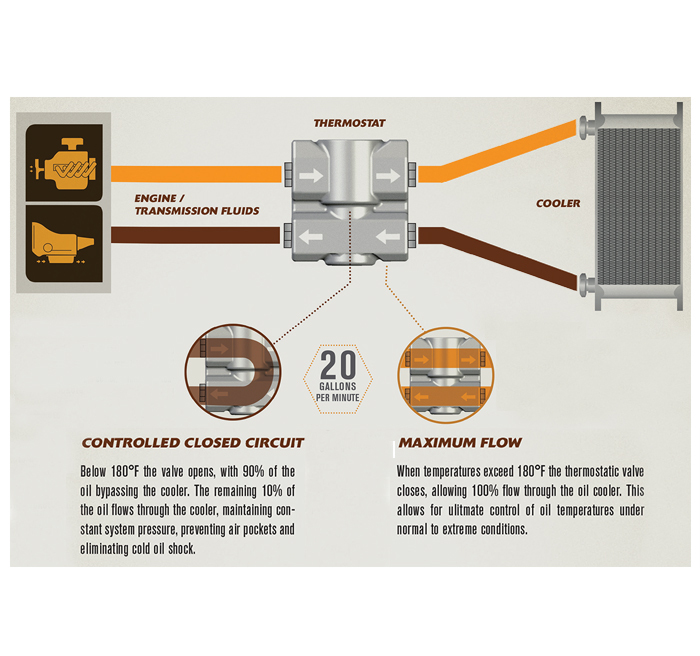 This process allows the engine/transmission to achieve the ideal operating temperature quicker before passing the oil through the cooler. The unit can be rotated 180° to change flow direction.